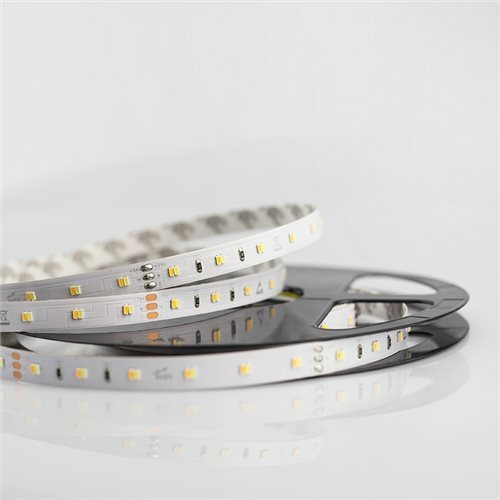 The 12 W/m Tunable White IP65 is an LED strip with a medium lumen output, splash and UV proofed due to its Nano Parylene coating. Its reduced size allows it to be installed where standard IP strips cannot. The use of a heat sink (aluminium channel or flat bar) is recommended but not mandatory.